The 2011 RBC GranFondo Whistler brought together 7,000 cyclists that rode a 122 kms from the start gate in downtown Vancouver to the finish line at the natural playground of Whistler. The ride travels the world’s most scenic coastal mountain corridor, British Columbia’s Sea to Sky highway. 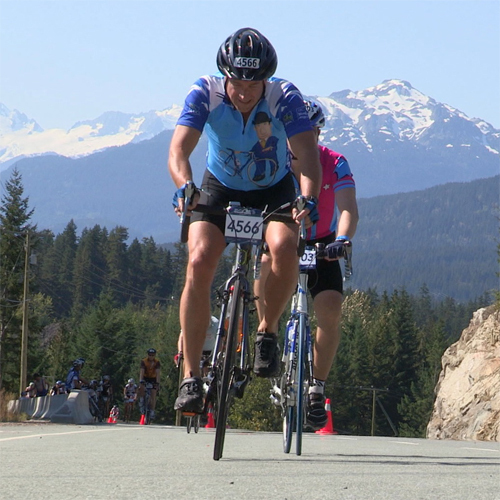 Tourism British Columbia Field Reporter Chris Wheeler joined in on this epic journey to capture what is now the largest mass cycling event of its kind in North America!